President Muhammadu Buhari has noted that the greatest investment Europe and America could make in Africa now was helping the continent accomplish inter-basin water transfer to recharge the Lake Chad. 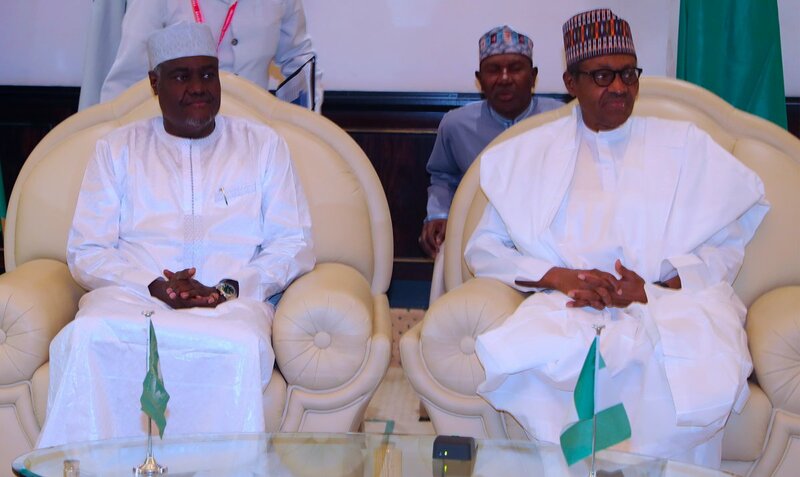 Special Adviser to the President on Media and Publicity, Femi Adesina, in a statement said President Buhari spoke at the State House, in Abuja, on Friday, while hosting the Chairman of the African Union Commission, Moussa Faki Mahamat. The President reportedly noted that the Lake Chad, which provided a means of livelihood to several millions of people in four countries – Chad, Cameroon, Niger and Nigeria – has now been reduced to ten per cent of its originate size, due to the impact of climate change. The President was quoted as saying, “People who depended on the Lake for fishing, farming, animal husbandry, and many others, have been thrown into dire straits. “That is one of the reasons youths now dare the Sahara Desert and the Mediterranean Sea, to seek greener pastures in Europe. “But helping to recharge Lake Chad will help a great deal in curbing irregular migration,” he said. While noting that the size of Nigeria and resources available place a lot of responsibilities on her shoulders, President Buhari pledged that the country would continue to fulfill its obligations to the African Union. Mahamat, in his remark lauded President Buhari, saying his leadership was good for Nigeria, for AU, and for Africa in general. He added that the next AU Summit would look into the reform of the AU Commission, positioning the AU and Africa in the world, Single Air Transport Market, the Africa Continental Free Trade Area, and other issues. “Nigeria is the engine of Africa politically, economically, and in the area of peace and security. “Without her, Agenda 2063 cannot be accomplished. We depend on the elder to reach our destination in good shape.